Hindu warrior Vinay Katiyar rakes up Ayodhya issue within BJP. Bajrangdal Chief turned BJP MP Vinay Katiyar rakes up Ayodhya issue. 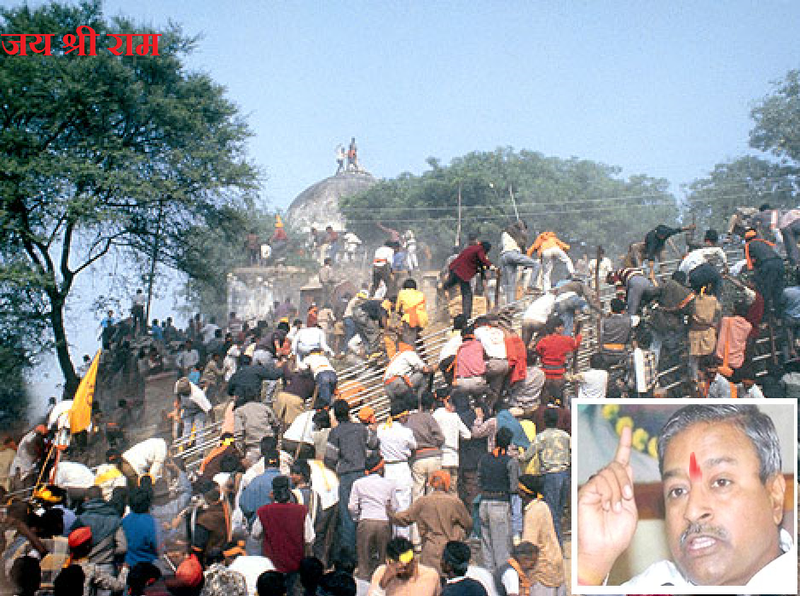 PTI | Ayodhya | Jun 3, 2015:: Raking up the Ram temple issue, BJP MP Vinay Katiyar who was the face of the Ayodhya movement of 1990s, on Wednesday said the Modi government should “move to resolve” the matter without waiting for the Supreme Court verdict. He said the government should address the issue either through legislation or talks, fulfilling the BJP’s promise. “Without waiting for the verdict of Supreme Court, the government should make a move to resolve the issue either through talks or by bringing a legislation,” Katiyar told PTI. “The Ram Janmabhoomi issue is a burning issue and no government can ignore it, be it in a majority or not. It is a big issue, not only for ‘Ram Bhakts’. It is not a difficult task for the government to resolve it and if it wants, it can start negotiations and it will become easier,” he said. Katiyar, now Rajya Sabha member, earlier represented Faizabad Lok Sabha constituency, under which Ayodhya falls. He said that earlier there was no court verdict in “favour” of the Ram Janmabhoomi issue and now that it is there and hence it will be easier. On the stand taken by the NDA, which cites lack of majority in Rajya Sabha for not going ahead, Katiyar said, “Let it be brought in Lok Sabha where the government has thumping majority and then place it in Rajya Sabha and people be apprised of what all the government has been doing to keep its promise of Ram Temple. “This will clear doubts from the minds of the people about our intentions and also expose those who are indulging in propaganda that we are not serious over the issue,” he said. The BJP leader, however, stressed that all problems can be resolved through dialogue, which he said should continue for the decades old dispute. 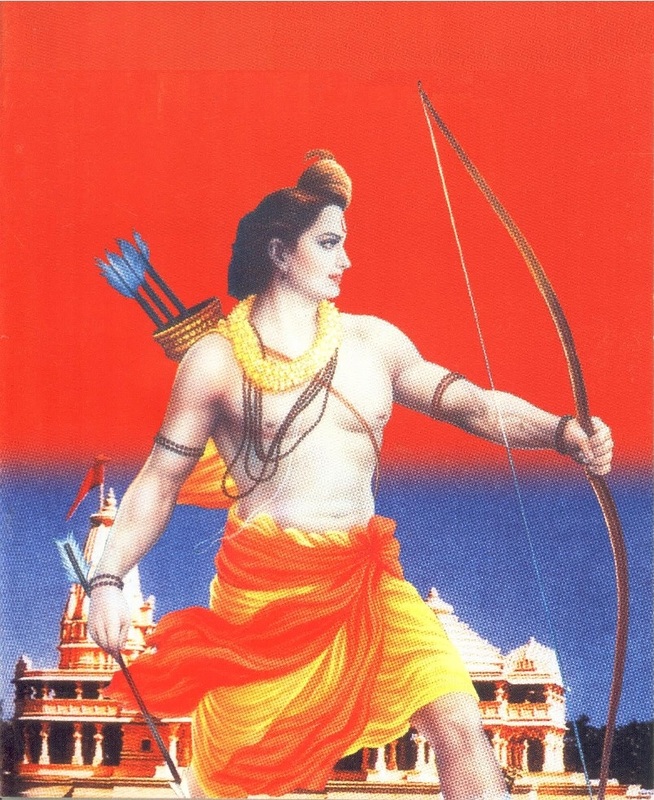 This entry was posted on June 4, 2015 by hinduexistence in Hindu Demand, Hindu Demand for Ayodhya Ram Temple, Hindu Movements, Hindu Struggle, Hindu Temples and tagged Ayodhya Issue, Ayodhya Movement, BJP MP Vinay Katiyar, Ex Bajrangdal Chief Vinay Katiyar, Hindu warrior Vinay Katiyar, Keeping the promise of Ram Temple, Rajya Sabha member Vinay Katiyar, Ram Bhakts.